Whenever our best-selling Cairns Leather New Yorkers go on sale, it's worth nothing! 10% might seem small, but it's HUGE on a helmet of this quality and at a price we already keep low and competitive on a normal day. So if you've been sitting on the edge of your seat, contemplating pulling the trigger on a New Yorker, now is the time to act. The Cairns Leather New Yorker is individually hand crafted, hand shaped, hand stitched and hand trimmed to meet today's standards. 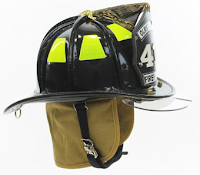 Cairns has over 170 years of experience crafting helmets, so they make sure the traditional style helmets maintain their authentic look while continuing to be of high quality giving you years of use with minimum maintenance. Shop our 10% off New Yorkers Sale Now!